How To Get Nautilus 'Type Ahead Search' Back in Ubuntu 18.04 LTS - OMG! Ubuntu! If you miss the Nautilus type ahead find feature on the Ubuntu desktop, I’ve some good news. A new PPA has been created that brings this feature, which is also known as ‘interactive search’, ‘type ahead search’, and ‘search as you type’, back to Nautilus and back to Ubuntu. Upstream GNOME developers removed type ahead functionality from Nautilus back in 2013, replacing it with full-text search that sifts files inside the current folder as well as sub-directories and (if Tracker is installed) file contents. While this comprehensive search is better at finding things, it’s not for everyone. Ubuntu carried a patch to bring “type ahead” back to Nautilus until last year (but it got dropped along with the Unity desktop). But hey: this is open source. 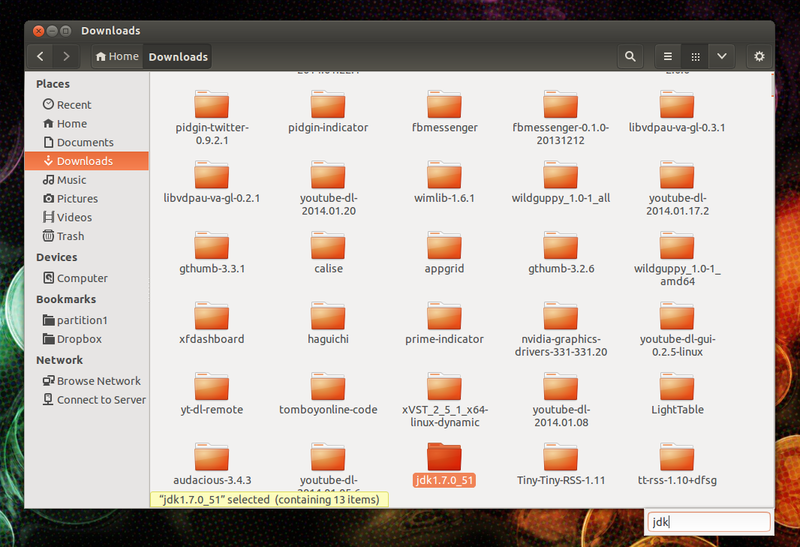 If you have an itch you scratch it — and file manager fans have done just that. Type ahead find/search in Nautilus works like this: you open a folder and start typing. As you type the file manager instantly jumps to/finds/focuses the first file (or folder) that matches your query — but only in the directory you’re viewing. This is fast, efficient, and rather intuitive. For example, if you open ‘Pictures’ and start typing ‘summer‘ you’ll instantly jump to the first image (or folder) that starts with ‘summer‘. You can then use your keyboard arrow keys to skip to the next matching result, and so on. You can see the feature “in action” in this video I found on YouTube. Please note that the method to enable interactive search that this video mentions has not worked for several years. Before I go ahead and show you how to replace stock Nautilus with a third-party build I should note that you can make full text search work more like type-ahead find without using PPAs and patches. How? Just alter Nautilus’ search preferences to ‘never’ search in subfolders and disable full text search as the default behaviour. If you miss typeahead search in Nautilus you can get it back on Ubuntu 18.04 LTS without having to downgrade or switch to an alternative file manager like Nemo, Caja or Thunar. It’s all thanks to a new third-party PPA (so usual risks apply) that brings the missed feature back using a patch from the Arch User repo. Now, caveat time: please understand that this PPA will replace the standard version of Nautilus 3.26 used in Ubuntu 18.04 for a third-party build compiled with typeahead find feature enabled. Also note that this PPA only supports Ubuntu 18.04 LTS. After confirming you want to add the PPA Ubuntu will automatically refresh your system sources. Review the changes the command proposes and, if you’re happy to proceed, let it “do its thing”. Open a Nautilus window and start typing away!